It all began in a similar setting on an island in the middle of the Indian Ocean. In the midst of celebrating my conquering of the almighty Mt Kilimanjaro, I was blatantly eavesdropping on a couple of weathered sailors. With a little liquid courage I managed to join their rickety table and the fascinating conversation about a hideaway in the Caribbean called Little Corn Island. It had apparently been a stop for both of the gentlemen in the past, each unbeknownst to the other until they shared stories of coconut bread, crystal waters, deliciously fresh food, no cars, incredible people, and houses you could buy for $1000. Needless to say, I was hooked, and decided right then that I needed to make a visit VERY soon. Flash forward a year, and my lady and I had our confirmations for flights and accommodations. 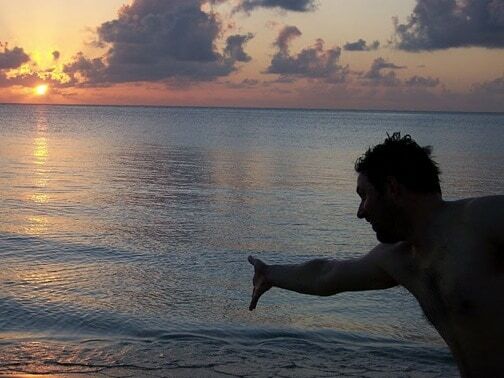 Just getting to Little Corn Island can be an adventure– Google it and you’ll find it’s nearly impossible to depart NYC and arrive in LCI by day’s end. This includes an international flight, customs, a domestic flight to Big Corn Island (in what looks like a school bus with wings), and finally a boat taxi to its slightly smaller sister island to the north. It was a little easier for us, as we are based in Atlanta, but we were only able to make it to Big Corn and stayed there the first night. 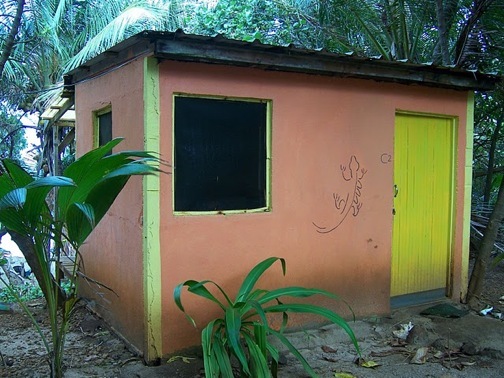 We scored a room at the Paraiso Beach Hotel Club for a mere $35 a night: I think it helped that there were only two or three other cabanas in use, all built by the owner from local materials in the middle of the bush. The water there was so crystal clear I was able to spot a starfish 50 feet away. The restaurant at Paraiso was a treat, serving fresh local fare brought straight from the water, to the kitchen, to your table, and very affordable. 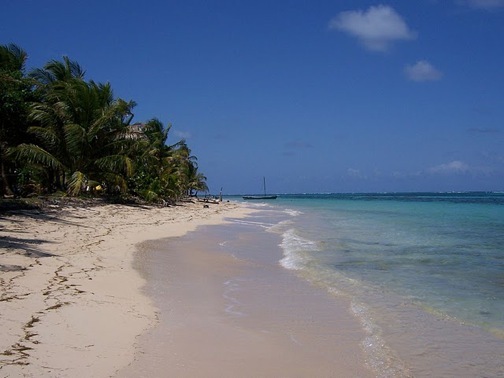 And if you’re a food-lover, don’t step one foot off Big Corn Island before you go see Ms. Sandra, who operates out of a little shack located by the side of the road just down the street from the airport. You’ll have to get a lift to get there, but it’s worth every penny. Her amazing loaves of coconut bread are typically available hot off the press around 1 pm, and ranks among the best foods I have ever eaten. The next morning we were finally “aboard the tiny ship” (a.k.a. the local water taxi) taking us across the open Caribbean to Little Corn Island. The panga floats twice a day and only costs about $5 a person, but it took us about 50 minutes to make the trip due to the choppiness of the water. If you go, be prepared to get wet: The captains have waterproof bags for your luggage, but I highly recommend bringing some large trash bags for added protection. Also, you may want to grab a life preserver… but not for what you think. They work wonders as a seat cushion! 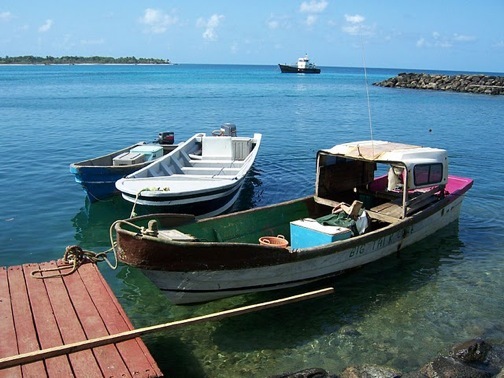 Upon arrival at Little Corn Island’s dock, you immediately notice there are no automobiles on the island. The gentlemen with wheelbarrows that have “TAXI” painted on the sides will gladly assist you and your luggage from the dock to your accommodations. After a lot of research, we decided to stay for 10 days at famed eco-resort Casa Iguana, which was about a 5-minute walk away. Casa Iguana is the only place in the area that will accept personal checks, and one of very few on the island that accepts credit cards and is equipped with Internet service. Snorkeling equipment is readily available for rent, and our experience it is a must. The cabanas there were beautifully colored and open, with surprisingly cozy beds and breathtaking views. The resort generates energy from both a small wind turbine as well as solar power, which is used not only for your room but also for trail markers, which come in very handy to steer you away from walking into trees with giant spiders attached. (Yes, seriously!) 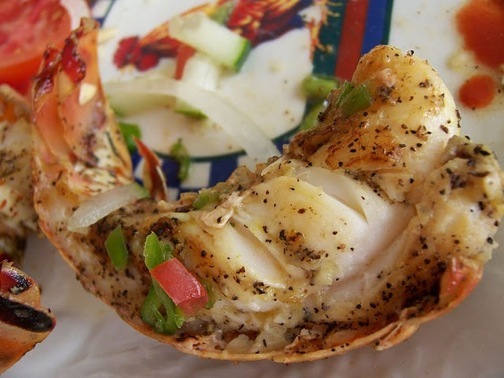 Meals at Casa Iguana are served twice a day, and always include fresh-caught marine life. I was awestruck by just how great the barracuda was. Who knew? There are jars full of hot sauce cooked from peppers and other veggies grown right in the resort’s garden, which also supplies many of the side dishes you’ll have with your meal. If at some point you’ve soaked in all of the sun you can stand, you can take an adventure just by walking around the island. The people there are incredibly friendly, and the scenic vistas are unforgettable. There are no tourist traps or shops per se (outside of a small tienda or two, which provides the locals with beauty/health products and other essentials), but there is an old lighthouse that makes for a fun mini-day trip and provides a great view of the whole island. There is also a well-known empanada man on the island: His delectable wares are filled with various meats, and are not to be missed. Ask around if you haven’t seen him and he should be easy to find.